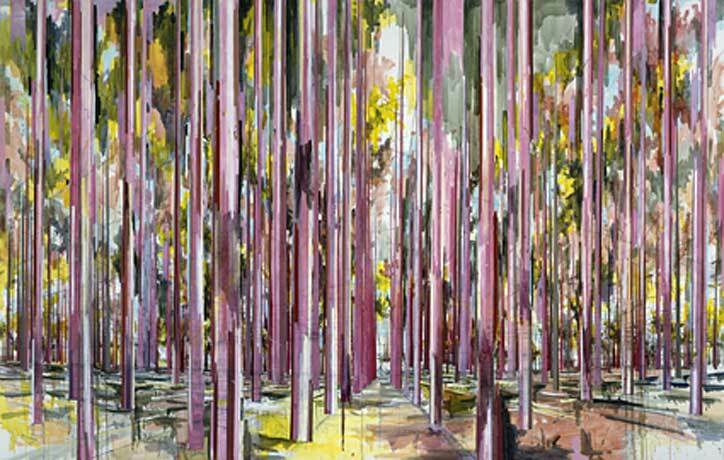 The immense depth effect of David Schnell’s (*1971) large-scale paintings virtually pullst he viewer into the pictorial space. 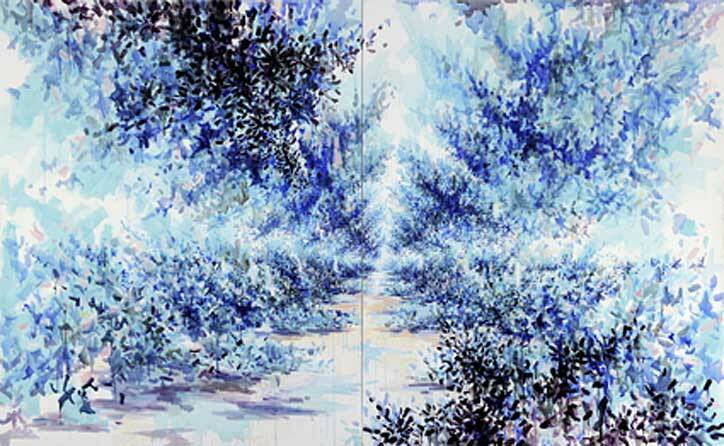 The focus of his equally emotional and analytical image worlds is set on the examination of lanscape and spacial construction in the image space. 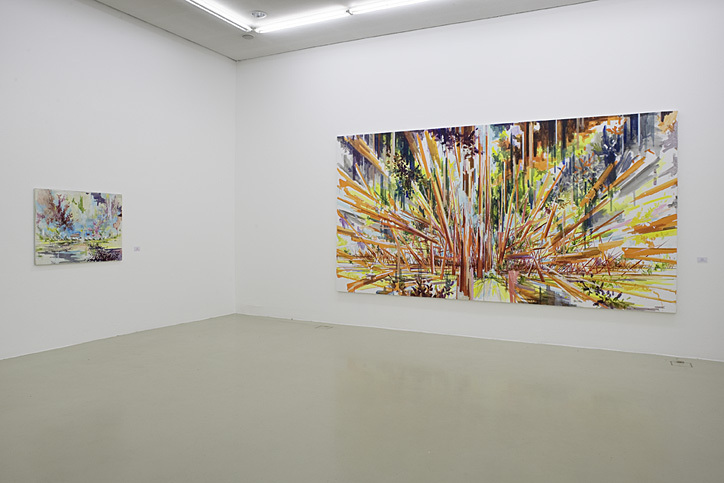 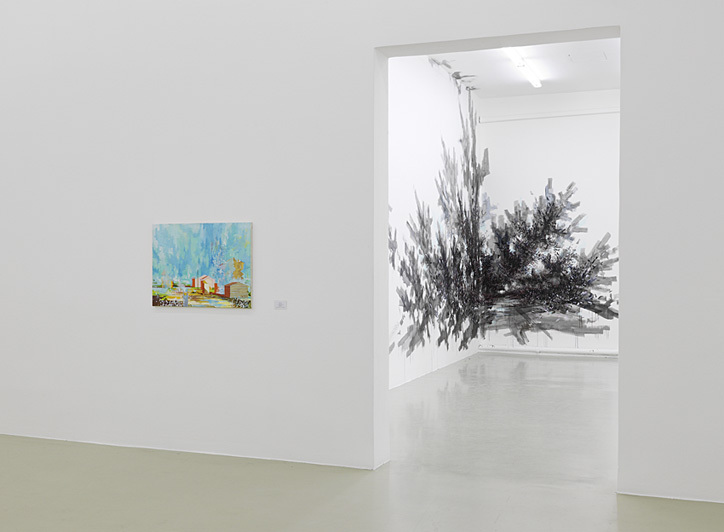 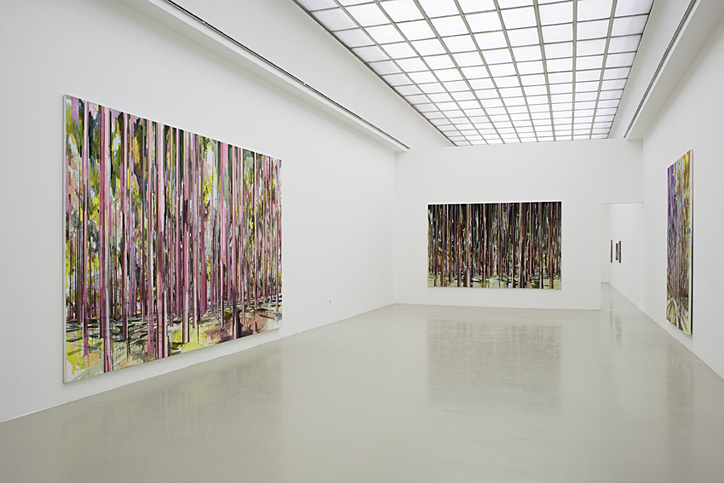 With the use of different vanishing point perspectives and a caleidoscopic dynamic sampling of space, the Leipzig-based painter redefines the genre of landscape painting. 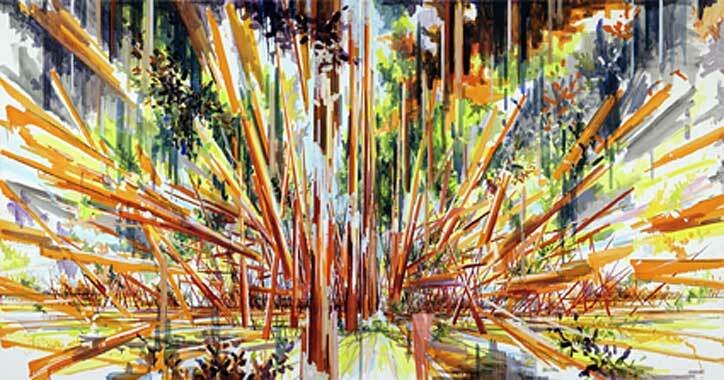 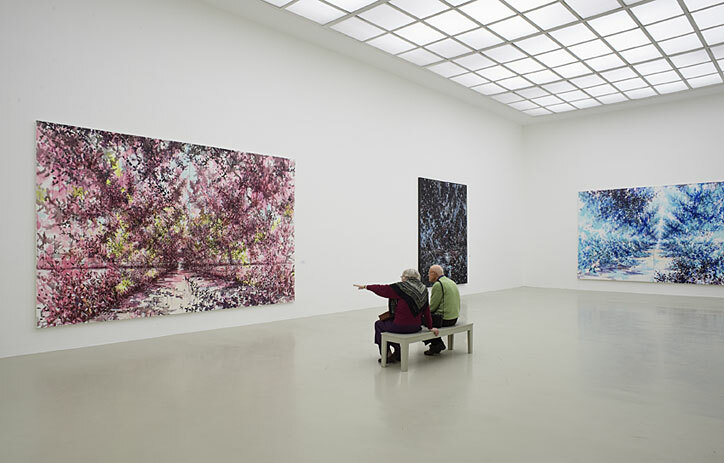 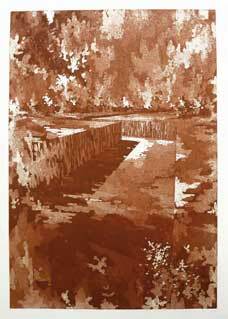 Schnell overlays depictions of landscapes with spacial fictions. 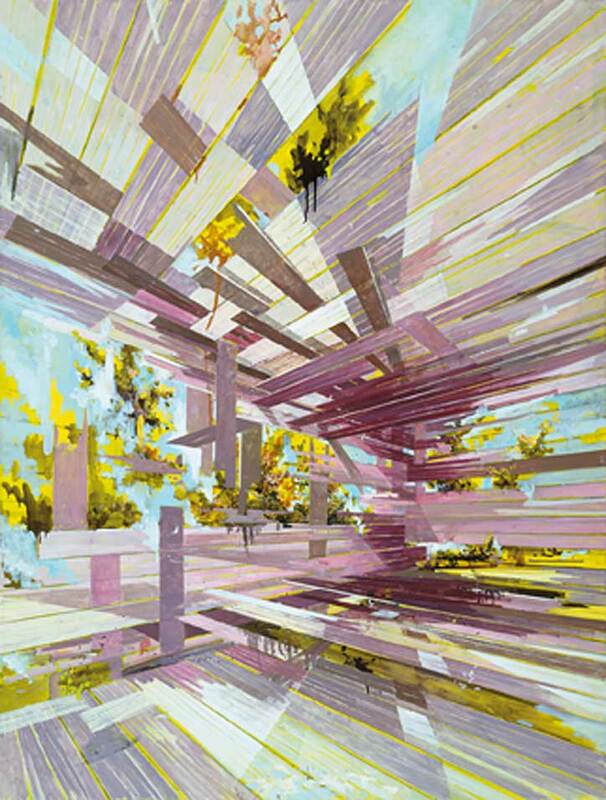 In single works, the vanishing point of architecural elements – a barn, for instance – leads into a far depth, pushing the images’ spacial construction to ist limits, while other works directly merge architecture and nature; as though ripped apart by a giant explosion, the contruction fragments and reassembles ina complex and fascinating manner. 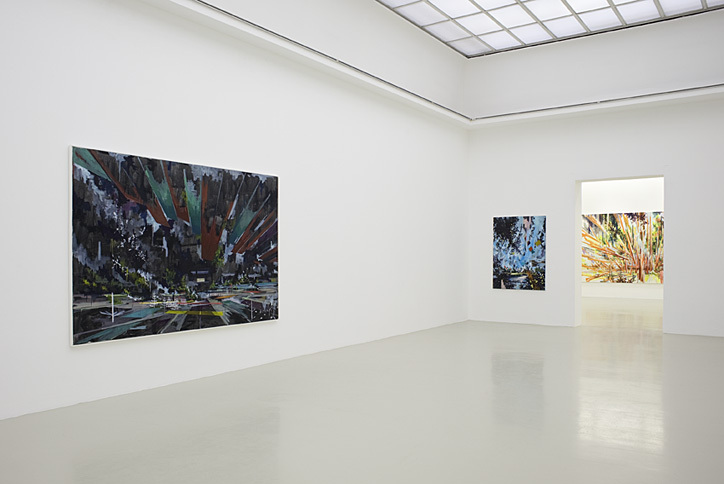 David Schnell integrates the possibilities of depiction altered by computer programmes and games and the perception of virtual reality into a classical landscape – even the use of central perspective as artistic means is a cultural product. 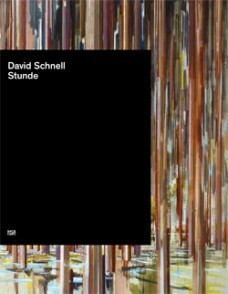 The exhibition is a comprehensive overview over David Schnell’s oeuvre and is produced in cooperation with the GEM, museum voor actuele kunst, Den Haag, Netherlans, and the Museum Allerheiligen Schaffhausen, Switzerland.